In 1978 the Supreme Court ruled (Symm v. United States) that college students have the right to register and vote in the community where they are living to go to college. There is no "permanence" test, no "length of duration" test. Our culture is very mobile. If we get into the business of disenfranchising voters because we think they'll move away in a year, in two years, in four years, then we're imposing a test that is unconstitutional. For example, the 18-year-old son of a Watauga County Republican comes of age and registers to vote in Watauga, but he is planning to go away to college at Campbell University next year and will never be returning permanently to live in his parents' home. He's about to be out in the world, going to school, and then getting a job in some other jurisdiction and getting married and starting a family. By Gov. 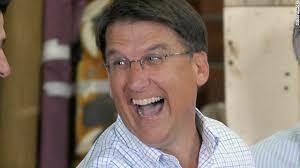 McCrory's logic, at 18 he's a temporary resident of Watauga. Should we then say to that voter, "Sorry, but you're not a permanent resident because you intend to move"? Where do college students actually live? They live where their clothes are hanging in a closet. We know of course that the General Assembly will convene in a special session after Thanksgiving to write the actual rules for their voter photo ID constitutional amendment, and we know, as surely as we know anything concrete, that they'll try to disenfranchise as many Democratic-leaning voters as possible, so we fully expect them to deny college and university photo IDs. The Republicans in the General Assembly have had previous attempts to impose voter suppression struck down by the courts, and there'll be a court battle again this time. They will never stop. Neither will we. They could try winning the hearts and minds of college students instead of suppressing their vote, but young people don't buy their political philosophy. Republican leaders respond by insulting their intelligence, calling them sheep, and accusing them of "fraud."